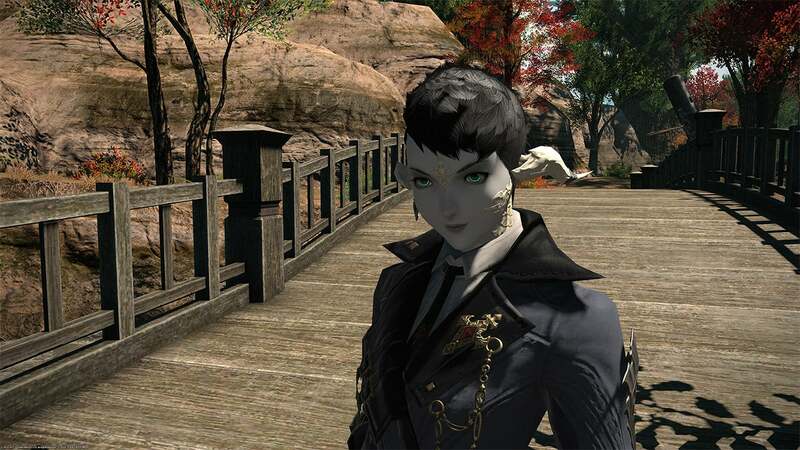 Being able to change my character's look, race and gender on the fly for a nominal fee is one of my favourite features of Final Fantasy XIV. Having a set main character works for traditional single-player Final Fantasy games that only last until the credits roll, but I've been playing the MMO version on and off for over seven years. Giving my character a whole new look is my way of recharging, amplifying the excitement of a new expansion or update. 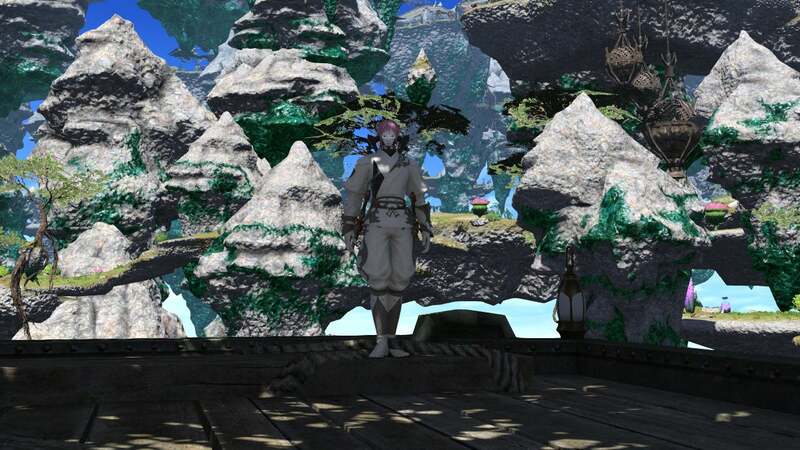 Freshening up wasn't a huge concern when Square Enix released the first iteration of Final Fantasy XIV. 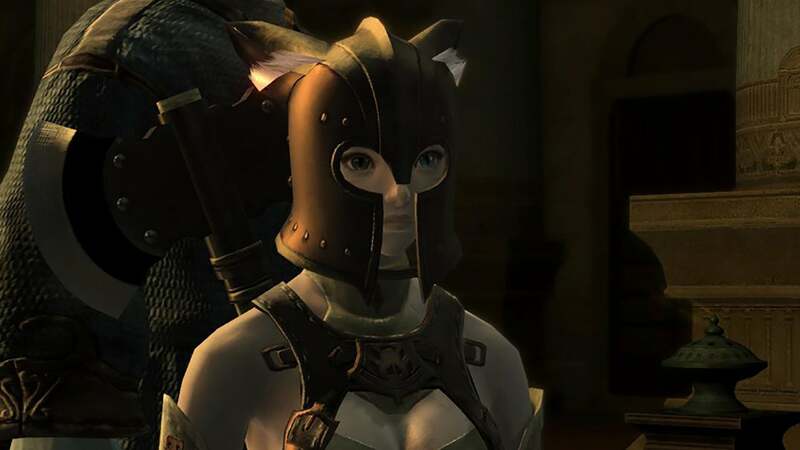 I didn't have much time to play Fritti Tailchaser, my Miqo'te Marauder, before it became clear that the game was hideously broken and unfinished and would require a complete revamp before it could be anything approaching enjoyable. Cut to three years later, when the completely revamped, infinitely more enjoyable Final Fantasy: A Realm Reborn arrived in 2013. The difference between Square Enix's first and second attempts was night and day, so I created a character quite unlike my original pink-haired kitty girl. OK, so it's just a pink-haired kitty boy. He's still super-adorable. My various Warriors of Light tend to spend a lot of time as Miqo'te. It's not just the whole cat ears thing. The race can be relatively small without looking as silly as the pudgy, diminutive Lalafell. 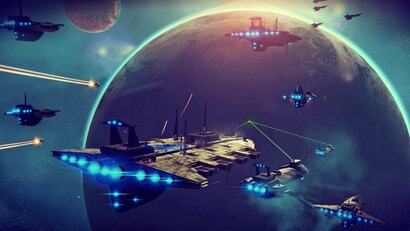 I've found that the smaller an MMO character is in relation to the game world, the faster it seems like it moves. 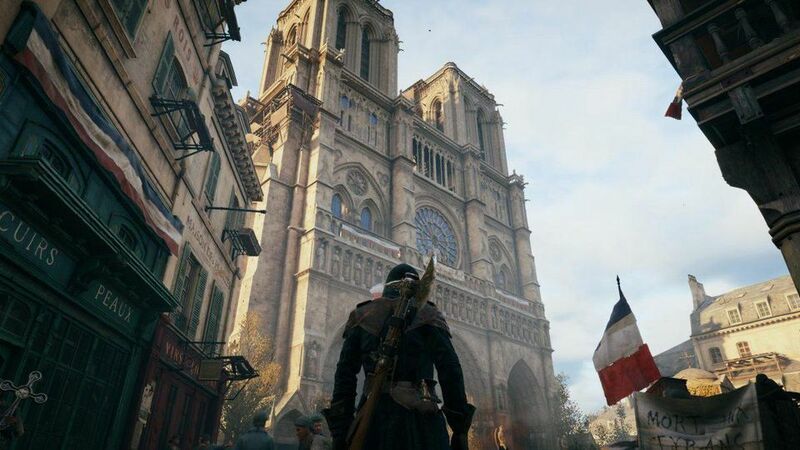 It's an illusion, of course — smaller characters have to take more steps to cover the same amount of ground as larger ones — but it's a grand one. I did go bigger once. 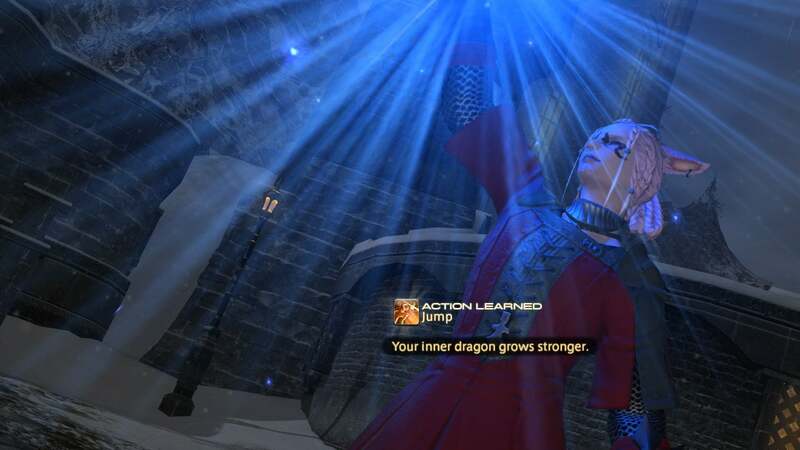 When the Heavensward expansion launched in 2015, the dragon-like Au Ra race arrived in the game. Au Ra males are rather large, but I wanted to see how life was for the tall and scaly and took the plunge. You can't see him very well in the shot above. 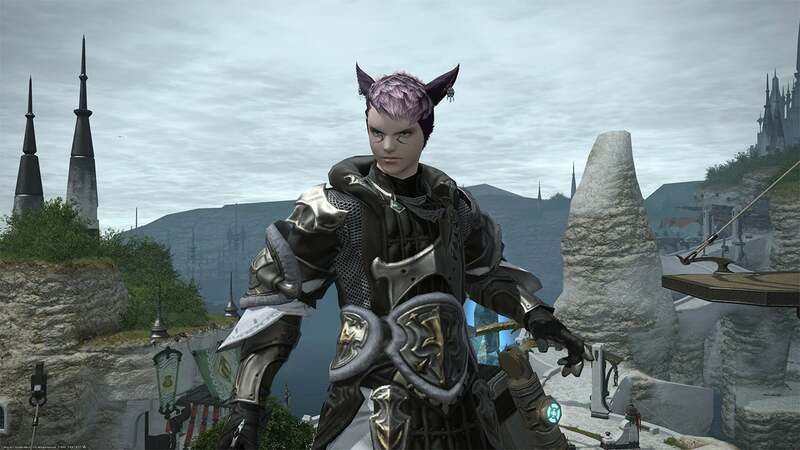 I didn't like Back as an Au Ra, and soon after that screenshot was taken, I turned him back into a cat. Back, back to cat form with an all-new attitude. But I didn't abandon the Au Ra race completely. When the Stormblood expansion rolled around last year, I decided to create a new character entirely. 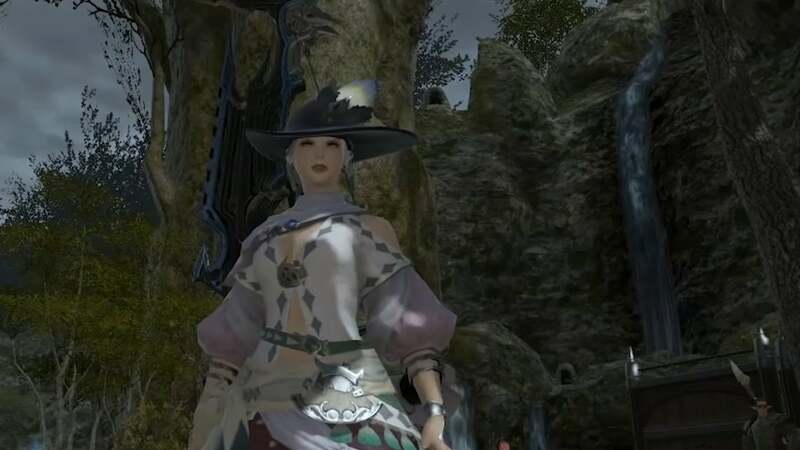 It's not something one generally needs to do in Final Fantasy XIV, as any character can master and switch between any of the game's adventuring professions or crafting jobs. But I needed a change, and thus Clan Destine was born. Clan Destine at the launch of Stormblood. Female Au Ra are amazing for the creative character designer. They have got a nice range of skin tones, from nearly pure-white to pitch black, the option to make their eyes glow and several different horns to choose from. I loved this look, and I have it saved to my account in case I want to revisit it. By the time our review of the game went live, Clan was back to being a Miqo'te, because she looked better in Red Mage garb that way. Once I'd completed the initial expansion I started levelling some of the professions I'd never tried, which called for another change. This time I went with a Hyur, specifically a Highland Hyur, AKA very large human. Size aside, this was a good look save one thing — her face is always angry. Logging in after weeks away was like coming home to a pissed-off spouse after staying out too late. She scared me a little. And so, with the release of this week's update, I went to the Mogstation website, spent $US10 ($12) on a transformation-inducing Phial of Fantasia, and recreated myself one more time. 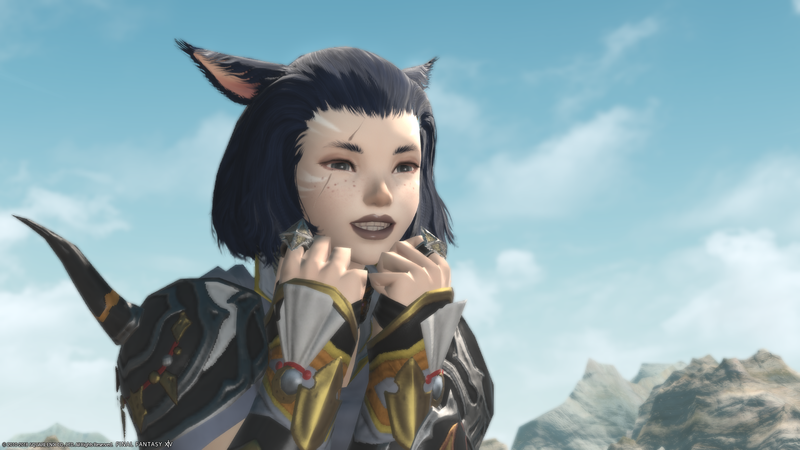 Clan Destine is a Miqo'te once more, ready to face the fresh adventures of Rise of a New Sun with all the excitement and curiosity a cat can muster. The Warrior of Light — the Warrior of Light always changes.